Remember when you were a kid and you celebrated your “half birthday”? Well, we are so proud and excited to celebrate ours! Milwaukee Pediatric Dentist, Dr. CJ Wagner and his staff recently celebrated its 6th month serving the children of Milwaukee, Whitefish Bay, Shorewood, Mequon, Bayside, Brown Deer and Fox Point. Our first return “smilers” were Dr. CJ’s kids, Lola and Judah. If you haven’t been to our office yet, call 414-939-3870 and schedule your child for good times, good laughs and oh yeah, we will also check out their teeth! Did you know that February is National Children’s Dental Health Month? This month-long national health observance brings together thousands of dedicated dental professionals, healthcare providers, and educators to promote the benefits of good oral health to children, their caregivers, teachers and many others. 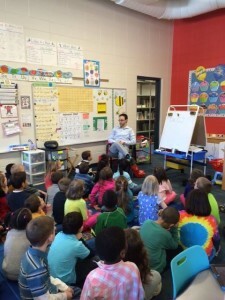 Dr. CJ spent the morning speaking to over 100 kindergartners at Brown Deer Elementary. It’s so much fun to teach them about health eating and healthy brushing! Wagner Pediatric Dentistry serves the communities of Brown Deer, Whitefish Bay, Mequon, Shorewood, Milwaukee, Bayside and Fox Point. 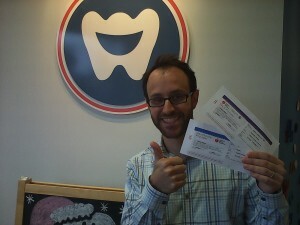 Wagner Pediatric Dentistry, Milwaukee’s newest children’s dentist is back at it with another ticket contest. We are proud to announce our next ticket give-away for First Stage: STARGIRL! Showtime February 8th at 4pm. We will be giving away 2 pairs of tickets for families who leave reviews for Wagner Pediatric Dentistry on Facebook, Google or Yelp! Winners will be announced the week of February 1st. Please leave reviews on our Facebook page by clicking the star rating. To leave a review on Google or Yelp, click the links below. Dr. CJ Wagner of Wagner Pediatric Dentistry is a board certified Pediatric Dentist serving the Milwaukee communities of Shorewood, Whitefish Bay, Mequon, Bayside, River Hills, Brown Deer, Glendale and Fox Point. Pediatric Dentistry is a recognized specialty of the American Dental Association. Dr. CJ recently completed his re-certification from the American Heart Association. Dr. CJ is a certified healthcare provider of the AHAs Basic Life Support and Pediatric Advanced Life Support. Pediatric Advanced Life Support (PALS) is a 2 day (with an additional self study day) American Heart Association training program. The goal of the course is to aid the pediatric healthcare provider in developing the knowledge and skills necessary to efficiently and effectively manage critically ill infants and children, resulting in improved outcomes. Professional healthcare providers use PALS during the stabilization and transportation phases of a pediatric emergency, in or out of hospital. Skills taught include recognition and treatment of infants and children at risk for cardiopulmonary arrest; the systematic approach to pediatric assessment; effective respiratory management; defibrillation and synchronized cardioversion; intraosseous access and fluid bolus administration; and effective resuscitation team dynamics. Who wants 4 free tickets to The Polar Express? 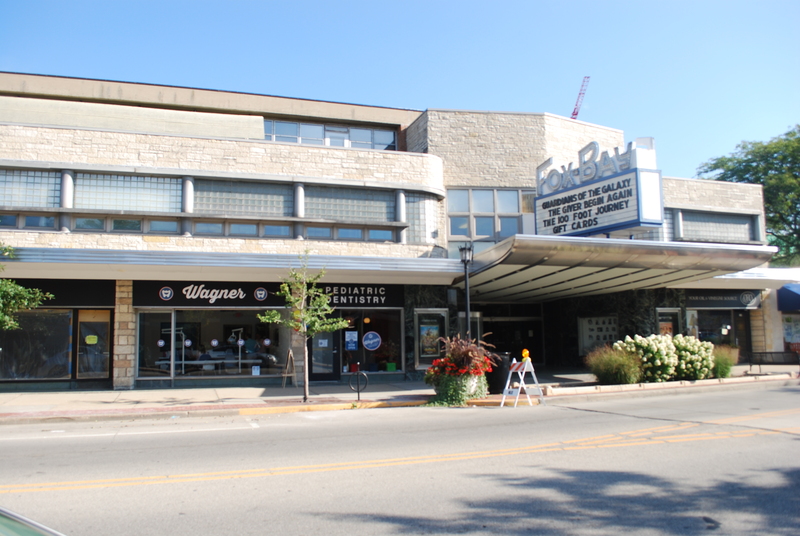 Wagner Pediatric Dentistry, a new Pediatric Dental office located in Whitefish Bay near Mequon, WI is excited to announce our ongoing support for child-friendly activities in the Performing Arts! We have 4 tickets to The Polar Express to give away. You may enter 4 times by leaving reviews this week on either Facebook, Google and Yelp. Each review is one entry. You can also enter by sharing this Facebook post on your Facebook Wall. We will draw our winner on Thursday morning! All I Want for Christmas is my 2 front teeth! Wagner Pediatric Dentistry is proud to be a Major Sponsor for the Shop Whitefish Bay Holiday Stroll. Friday, November 28, 2014 ~ 5 – 8 p.m. Parade at 6 p.m. The Holiday Stroll is a cherished tradition which kicks off the holiday season in Whitefish Bay on the Friday following Thanksgiving. Hosted by the Whitefish Bay Business Improvement District, the Holiday Stroll is an event for the whole community and a way for the merchants to thank everyone for their support throughout the year. A family-friendly affair with a relaxed atmosphere, the Holiday Stroll is a perfect start to the season with music, refreshments and more as you revisit refined shopping with your friends and loved ones during a stroll along Silver Spring Drive this holiday season! Wagner Pediatric Dentistry, the only pediatric dental specialty practice located in Whitefish Bay, is marching in the parade this year! We have custom holiday toothbrushes to give away to all of the kids attending the parade! Dr. Wagner is a Board Certified Pediatric Dentist serving Milwaukee and the North Shore Communities of Whitefish Bay, Shorewood, Bayside, Mequon, Cedarburg, Brown Deer, Fox Point and Grafton. Dr. Wagner was recently credentialed at Children’s Hospital of Wisconsin in Milwaukee. Dr. CJ will be able to perform surgical cases for children at the hospital. While most patients can be seen in our office for all of their pediatric dental care needs, some children may require sedation in a hospital setting to better treat their needs. Dr. CJ has extensive training in hospital dentistry and is excited to be able to offer these services for those who need it. Children’s Hospital of Wisconsin is the region’s only independent health care system dedicated solely to the health and well-being of children. “Boo” – Milwaukee Pediatric Dentist to host trick or treating! We are SO excited for the annual “Trick or Treat on Silver Spring” event this Saturday, October 25th 2014. Our Milwaukee pediatric dental practice can’t wait to combat the mouth monsters and sugar bugs that LOVE Halloween candy. Please stop by the office for some non-candy prizes! 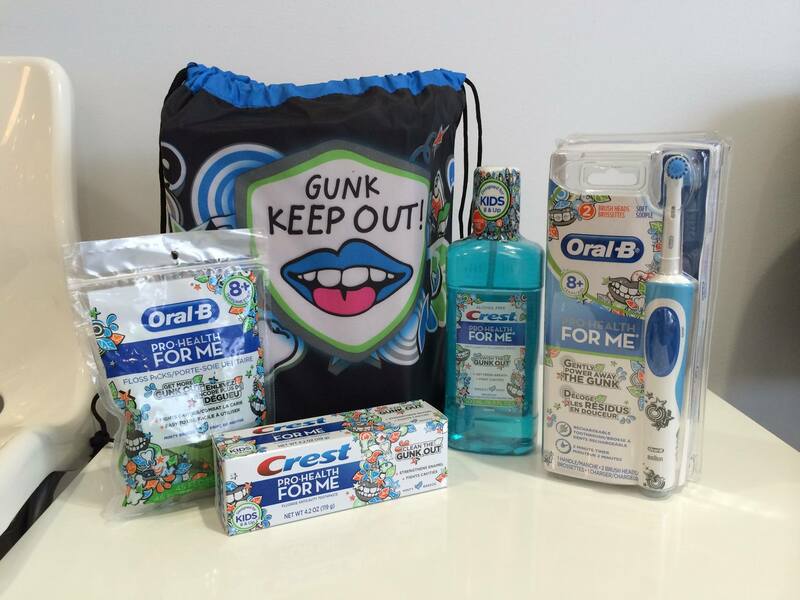 Also, enter our raffle to win this awesome Get the Gunk Out prize pack. Wagner Pediatric Dentistry is the newest specialty practice in Milwaukee. 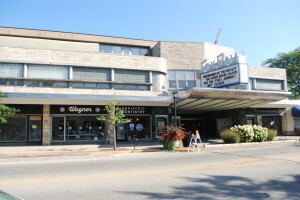 We serve Whitefish Bay, Shorewood, Bayside, Fox Point, River Hills, Mequon and Milwaukee. Come by and visit on Saturday to meet Dr. CJ, the new Milwaukee Pediatric Dentist. Wagner Pediatric Dentistry in Whitefish Bay Wisconsin is now open! Call 414-939-3870 to schedule your appointment. We have a ton of fun things for kids to do while your wait. Gourmet coffee, TVs above every dental chair, great tunes, good times, fun laughs! Oh yeah, and your child’s care and comfort is our number one priority. Come see what everyone is buzzing about! Pediatric Dentistry is FUN!